This week saw the launch of the first Breathe Strong App in the iTunes Store. 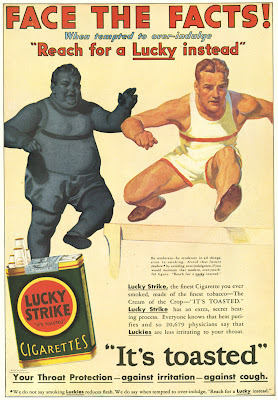 If you’re an existing subscriber to my Blog, you’ve visited www.breathstrong.com, you bought my book (thanks! ), or you use a POWERbreathe®, you already know that breathing training is quickest and easiest way to improve your performance, and reduce perceived exertion. The new Breathe Strong App provides a comprehensive, but convenient guide to optimising your breathing training. It’s packed with information and tips, and also provides a user programmable breathing pacer and counter. This function can not only be used to optimise your breathing training, but can also help you build breathing control during other workouts. Use the pacer to regulate your breathing during the workout to build good breathing habits - replace all that “puffing and panting” with deep, slow, controlled breathing. The new App also provides some of my “top tips”, drawn from 20 years of research, and over 15 years of working in elite sport. Just visit the iTunes App store and search using "Breathe Strong". Please feel free to post your comments about the App here, and we'll do our best to incorporate your suggestions in future updates. The launch of the Android version will be announced within the next few weeks. 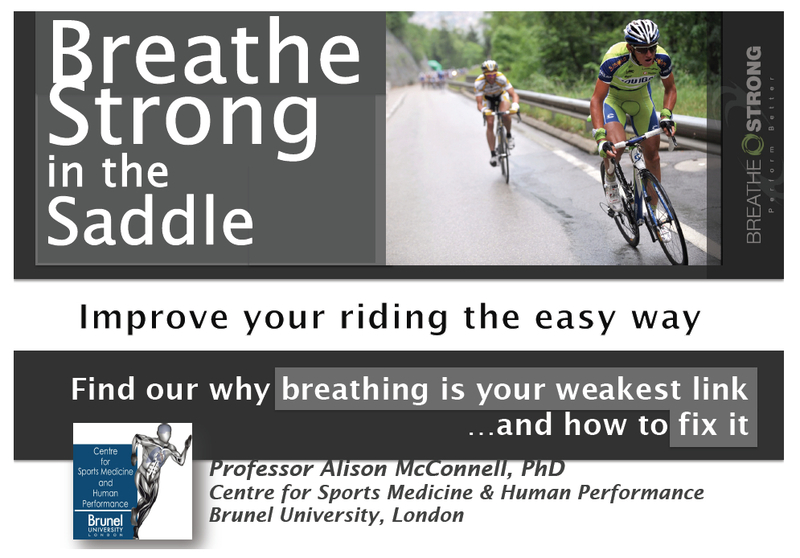 I'm giving a one hour presentation at the forthcoming London Bike Show on Saturday 14th January at 10.30am. The talk will be an extended version of the shorter presentation that I gave at the NEC Cycle Show in Septmeber last year, and will include additional material from my November Webinar. 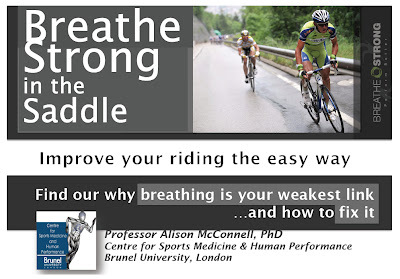 Check out my September Blog post ("Breathe Strong in the Saddle") for information on the talk. You can also come any meet me at at the BikeRadar Training Hub after the talk.